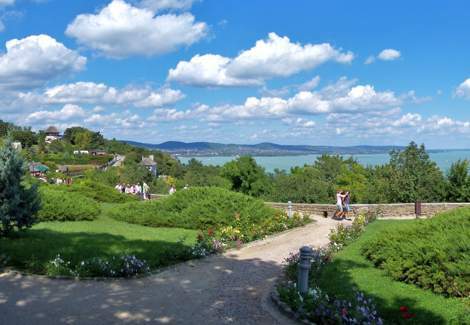 You can have a look at the beautiful panorama of the whole eastern side of lake Balaton from the promenade, that leads from the abbey to the Visszhang domb (Echo Hill). After sunset, the lit up church and the lights along the lakeshore dazzle visitors. Along the walkway intimate restaurants wait for hungry people.